There are many foods that I can live without: bread, rice, even pasta at a push but chips and crisps are something of a weakness for me. I definitely find avoiding potatoes a very difficult aspect of the Specific Carbohydrate Diet (SCD). 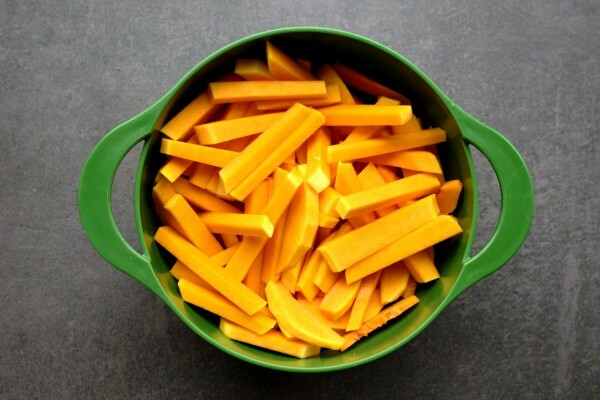 I must say though that these butternut squash fries are crispy and delicious and really hit the spot if I am craving something resembling fast food. They are versatile and you can add spices to them depending on your fancy. Sometimes I like them plain but often I’ll add a teaspoon of my homemade curry powder. 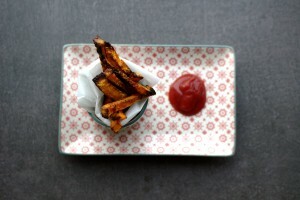 I often serve them with some pea pureé or my no-nasties ketchup and my fish fingers for a healthy take on fish n’ chips. 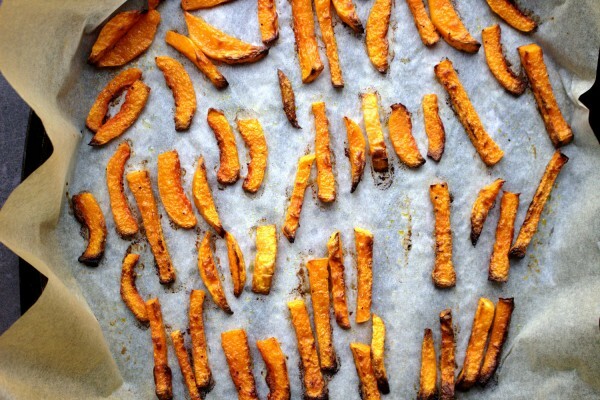 I have finally discovered the secret to the best, crispiest butternut squash fries ever! 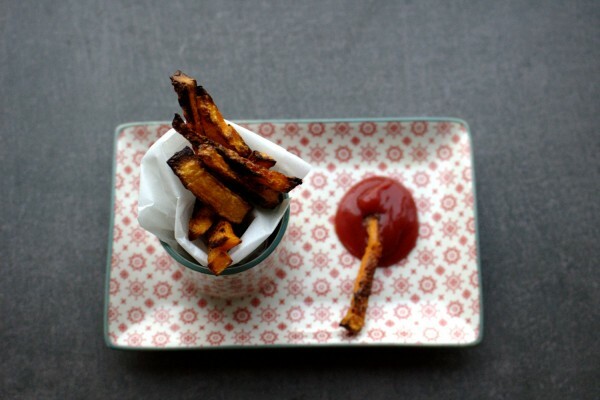 My method was a little hit-and-miss before and always resulted in a few soggy fries. This method however, never fails. The oven should be hot (check for exact temperature below) and the fries should be spread out. I used to bake all the fries in one roasting dish before and they were too crowded to cook evenly. You need to spread them as much as possible so they are not touching and the best way to cook them is on a baking tray lined with parchment paper. This also means, less dish-scrubbing later for you! 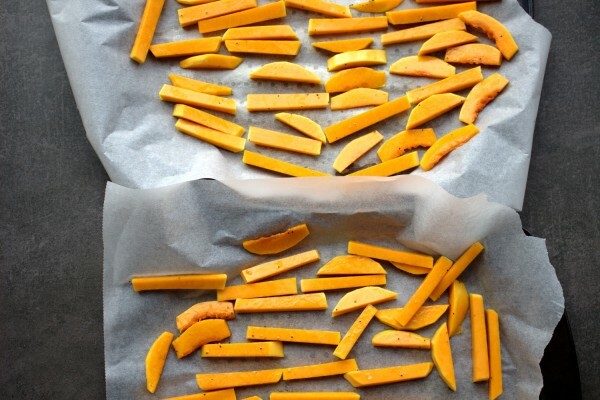 Deliciously healthy low-carb butternut squash fries. You won't be able to resist! 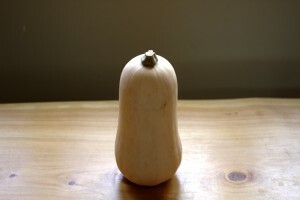 Cut the butternut squash first in discs then into fries. 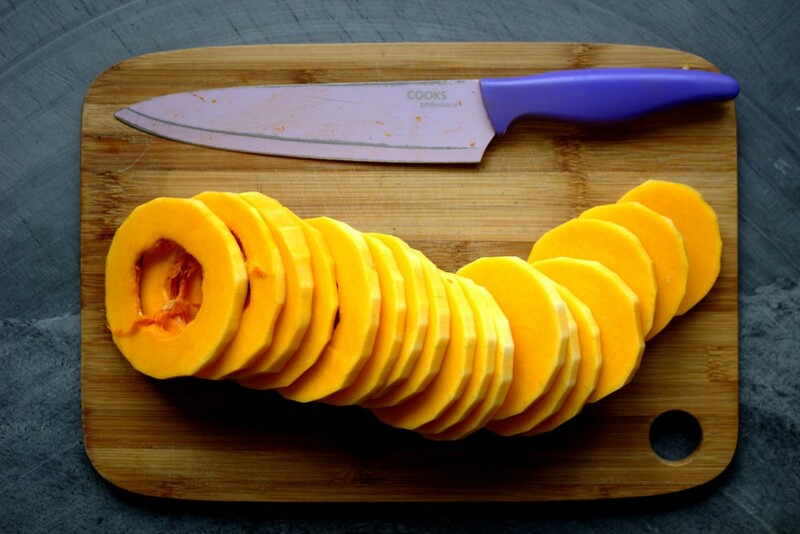 Try to cut them as evenly as possible to ensure even cooking. Add the fries to a bowl, toss with the olive oil and season with salt and pepper. Now is the time to add curry powder or spices if using. Place on two oven trays lined with parchment paper. Bake for 40 minutes. Begin checking at 30 minutes to make sure they don't burn.